Accurately tracking inventory is vital to a business. Our centralized inventory will keep all of your marketplace quantities up to date and let you know when you need to reorder. Choose how you want inventory allocated and SixBit will keep each marketplace up to date. Sales on other channels, manual inventory updates or purchases, and even Excel (CSV) file updates will all trigger SixBit to update each selling channel. 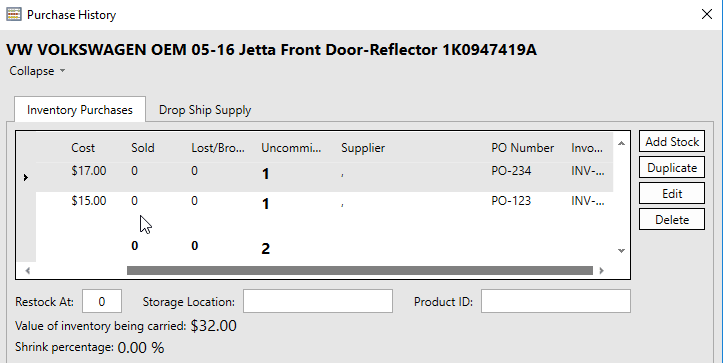 Use views to quickly identify inventory that needs to be reordered or replenished on a marketplace. Record the cost and supplier for each purchase to accurately determine profit and loss on any give sale. 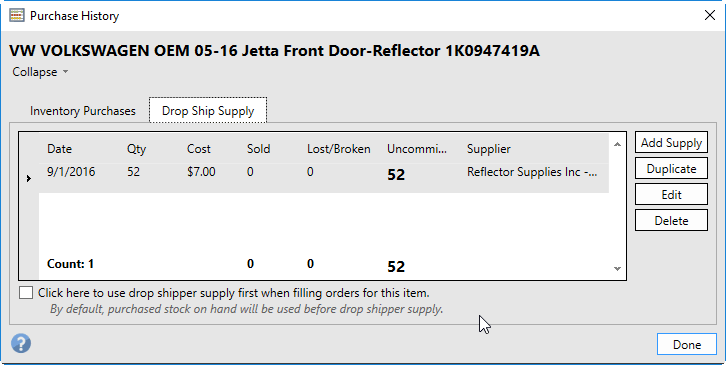 Keep track of inventory available from a drop shipper or a fulfillment channel (FBA). Synchronize inventory quantities with any site or supplier from Excel, CSV, XML or through the SixBit API. 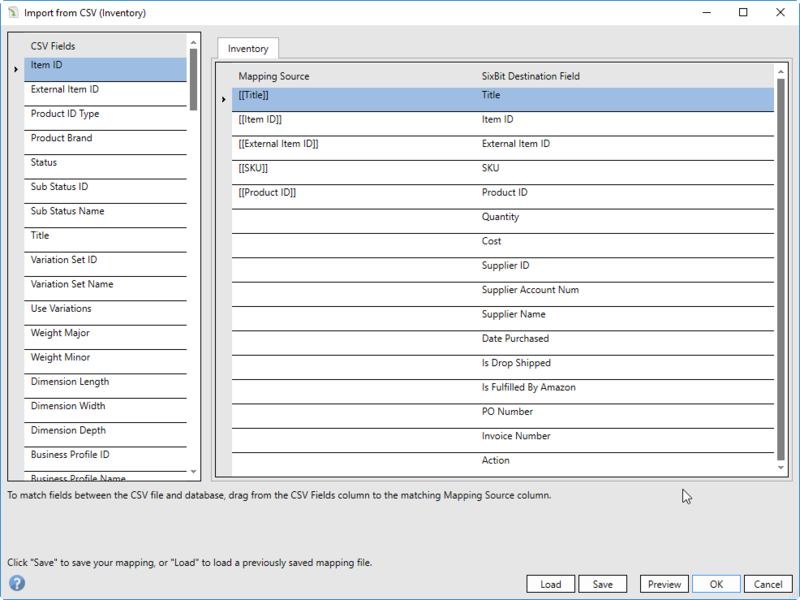 Drop folder processing even allows for automation of inventory updates from other systems.